Former prime minister Nawaz Sharif has said that the PML-N) will continue to struggle for the survival of democracy. Addressing a high-level meeting of the party at the Parliament House on Monday, the PML-N supremo said his party had always spoken about strengthening democracy, as only a strong democracy could guarantee Pakistan’s development and prosperity. The PML-N, he added, will continue to play its role for this cause. The meeting reviewed the country’s overall political situation and the party’s future strategy. Ahsan Iqbal briefed those in attendance on the restructuring of the party. Former prime minister Shahid Khaqan Abbasi, Rana Sanaullah, Sardar Ayaz Sadiq, Iqbal Zafar Jhagra, Pervez Rashid, Amir Muqam and Ahsan Iqbal amongst others attended the meeting. The party will continue its consultations on Thursday. On Friday, Nawaz Sharif submitted new evidence in the accountability court pertaining to Hasan Nawaz’s property in Britain as the court adjourned hearing of the Flagship Reference against the Sharif Family till December 17. 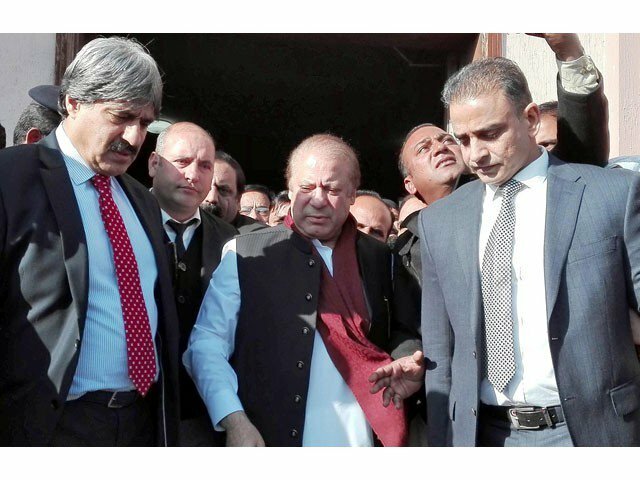 Nawaz’s counsel Khawaja Haris while responding to a question pertaining to his client’s competence as Sadiq and Ameen, said that the Supreme Court disqualified Sharif for concealment of assets but he has not indulged in forgery or lies and the verdict was given for not disclosing receivable salary as his asset. “As per the charge sheet, Sharif was not sent any money from the Flagship Investments,” said Haris.